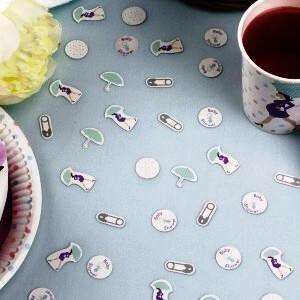 Our showered with love confetti if the perfect table accompaniment for for neutral baby shower, whether you are going with the whole range or not. Each bag contains a mix of fun designs featuring baby motifs and 'Baby Shower' text. A simple way to add some extra interest to your table, this stylish confetti looks lovely mixed in with other pieces from this fashion-forward collection.